For any skin tightening service, we don’t just offer the best customer service and patient care, we also have high-tech equipment that will ensure the results are ones that you desire. The skin tightening services we offer need equipment that is top-quality, so it can target the areas of your body that need some assistance. At La Beauté Medical Aesthetics, we pride ourselves on offering equipment that works not only well, but is also the solution to your expectations of beauty. Our medical spa can help you with skin tightening, eliminating aging issues, and more. To accomplish these goals, the doctor and the equipment have to be experienced and high-quality. 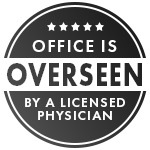 Our doctor has over a decade of experience in the medical field and our equipment is the best. If you’re interested in learning more about our services or the equipment at La Beauté Medical Aesthetics, contact us. Due to all of the advances in technology, skin tightening is becoming an even more accessible beauty service. This unique service targets areas of your body that need a little love. It will also decrease the wrinkles and loose skin for a more youthful, smoother, and aesthetically pleasing appearance. Don’t be held back by the way your skin looks! Skin tightening will noticeably alter the surface as well as the way you feel about your skin and how it looks. With just a few treatments, you’ll notice the decrease in wrinkles, fine lines, and skin laxity. While skin tightening isn’t as dramatic as other invasive skin procedures, you won’t have to deal with downtime or a recovery time. Skin tightening is safer and much more beneficial than other methods, especially because it helps to firm the skin and give you a more youthful appearance where you got the procedure completed. Skin tightening is completed with a machine that’s specifically made to target the areas of your body that you want to smooth and shed some pounds. This procedure will help to increase your confidence because it will target the areas through your body that you view as problem ones. By gaining more confidence, you’ll feel better about the way you look and live a better lifestyle. Primarily, this procedure is for those who want to get rid of those last few pounds and sculpt away what you may think of as a trouble area. Skin tightening will reduce 25 percent of your body fat, especially in those trouble spots. This procedure can be good for women who have been pregnant and want to eliminate the areas that aren’t moving even though you’re doing everything right. This procedure is also good for men who don’t see a change in their bodies even if they eat right and exercise. Get your confidence back when you take advantage of skin tightening. In comparison to our competitors in the non-invasive cosmetic industry, La Beauté Medical Aesthetics has equipment that’s unsurpassable. What sets us apart from other medical spas is our desire to administer services to ensure the areas on your body you find problems with are perfect. The equipment we have ensures that we are able to meet your standards as a medical spa. For skin tightening, we offer two high-tech machines that will treat any skin conditions that are anywhere on your body that you few as trouble spots. Skin tightening is a non-invasive procedure, but that doesn’t mean the technology we use isn’t as high-tech as it comes. When it comes to using equipment, La Beauté Medical Aesthetics strives to have the best to ensure the procedure goes smoothly and flawlessly, just like how your skin will look when it’s been completed. What’s great about this procedure is that it will increase your confidence and shed those last few pounds all while being safe and with a limited recovery time. While all cosmetic procedures will leave you a little less than feeling yourself, that doesn’t mean they will put you on bed rest for an extended amount of time. In fact, our skin tightening procedure will just make your skin look beautiful without you needing to have to take time off work or stay in our medical spa. This versatile machine will successfully get rid of your problem areas without causing you to change up your lifestyle. The Venus Versa is the most in-demand aesthetic treatment equipment on the market. This all-in-one workstation allows us to perform non-invasive cosmetic procedures in a more efficient fashion. The combination of our advanced skin procedures and our technology creates a successful outcome. The Venus Versa has multi-application platforms that are unique and help to administer popular cosmetic procedures. 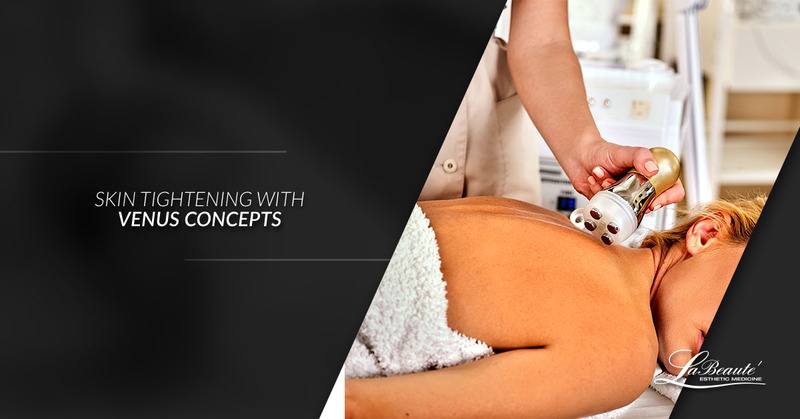 The technologies that this machine offers are the Venus Concept’s Proprietary (MP)2 Technology, SmartPulse™, and the NanoFractional Radio Frequency with SmartScan. This workstation can help treat acne, remove hair, decrease wrinkles, and resurface skin. Versatile and top-quality, the Venus Versa in the right hands can work magic on the areas of your body that you want to change. When it comes to skin resurfacing, Venus Viva is the perfect and the only system that’s needed for the doctor. At La Beauté Medical Aesthetics, we offer this top-quality piece of equipment to help with skin resurfacing. The Venus Viva system has customizable skin resurfacing, which is essential in this industry. By using the NanoFractional Radio Frequency with SmartScan™ Technology, the Venus Viva has fractional radio frequency to help with mild to severe skin damage. What’s great about this system is how the doctor can use it to control coagulation, ablation, and resurfacing for the skin. Radio frequency helps to target areas of the skin that need to be treated and this method can treat a variety of skin types with the low downtime. This method is the new and improved way to treat skin resurfacing. From improving fine lines and acne scars to skin texture, the Venus Viva is something that our medical spa takes advantage of, especially since the patients love it. Are you ready to take advantage of our skin tightening services? Do you want to shed the last few pounds? We’re ready to help you, just schedule a consultation today.